It brings Power Ranch Dental a lot of joy when we can help one of your patients gain a healthy smile. In order to gain a healthy smile, patients must know what good oral hygiene looks like and how to come about it. A healthy smile must include, teeth that are clean and free of any debris and gums that are pink and do not bleed when you brush or floss your teeth. If your gums do bleed while brushing or flossing, you should make an appointment to see your dentist. This could indicate a problem with your dental hygiene care. When you schedule an appointment at Power Ranch Dental, we can teach you good and helpful oral hygiene techniques. We also can help you pin point certain areas of your mouth that may require extra attention when you are brushing or flossing. 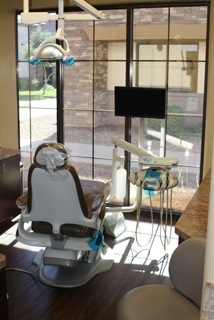 Give our office a call at (480) 988-2282. We would love to answer any and all questions you may have!